I had to read and comment on her post to see her “game” response to Wendy’s Game. Her decision to respond reminded me of our years together interacting in our little online neighborhood. Thanks for that, Denise. As you can see, there’s a PLN growing whenever a choice is made to interact, which Denise alludes to in her post. 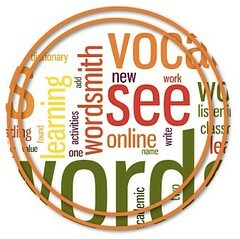 Take the challenge yourself; it’s an idea for writing a blog post, with a dictionary twist. Wendy posted a “game” in response to a #modigiwri challenge by Anna. Others, including me, played Wendy’s game. And while playing along we discover resources [check out the posts] and learned about each other. We begin to build a PLN, of which blogging is so important as we share our own perspectives and challenges on what we learn from each other. What is a PLN? It’s a personal learning neighborhood. We connect online with people around the world to learn with each other. Eventually, we “know” each other in that neighborhood and build friendships. Sometimes we even join in our own challenges, like this Open Spokes channel of vlogging friends, a thoughtful community started by Ben Wilkoff. Where are your neighborhoods? 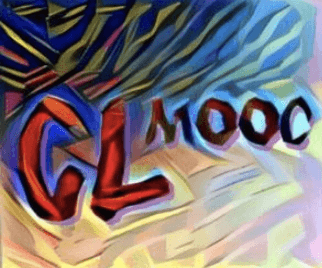 I currently roam around these hashtag neighborhoods: #clmooc #etmooc #literacies #connectedlearning and now #modigiwri and #blogging28. 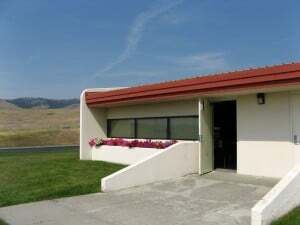 These are a slice of my life, and I am ever thankful and appreciative of the people in these neighborhoods. When you click the links to the hashtags, you see many people, some of whom are people in my neighborhood, like Denise, Wendy, Kevin, Terry, Anna, Sarah, Daniel, Melvina, Charlene, Gallit, Susan, Ben, and many more. On Twitter, these hashtags take me to people who take me to resources, websites, blogs, videos, interactive and collaborative note-taking on documents and videos, and challenges. Through these, we share resources for reading and writing classrooms, project-based learning, assessment, technology, etc. We connect with interests and passions and needs we have and are willing to share and learn with others about these. We converse about the topics that concern or excite us to think deeper and reflect on our practice. And we play around with tech tools to become more familiar with the tech that kids play with and that will enhance learning by creating together. 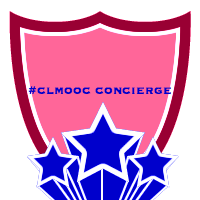 Check out these review posts about #clmooc and #etmooc to see what I mean. In my network, I have a neighborhood of people who inspire me; a neighborhood just as real as the one I walk through daily. 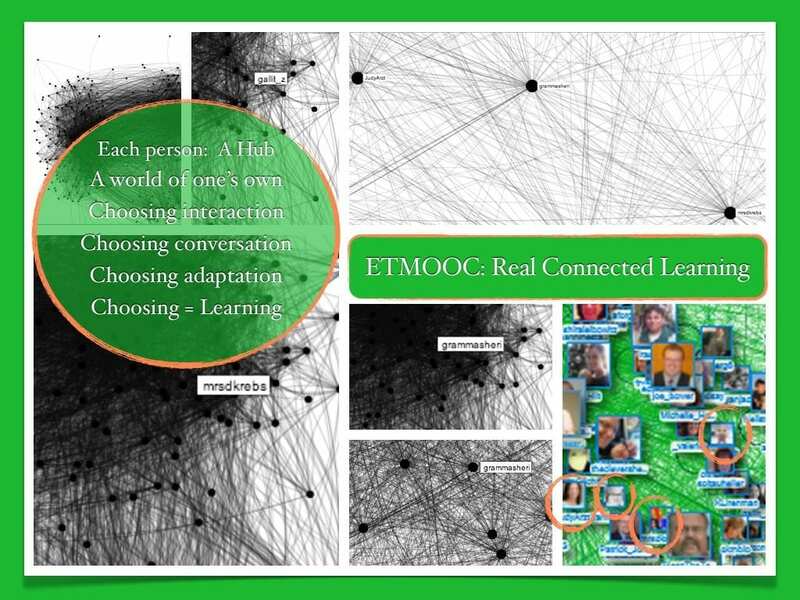 The image and poem at the top of the page is from 2013, a created image for #etmooc. for a post about “Carving a Slice of Learning” as we share and find bits of learning together. You can see the “nodes” Ben speaks of, and the people of my neighborhood, Denise and Gallit. 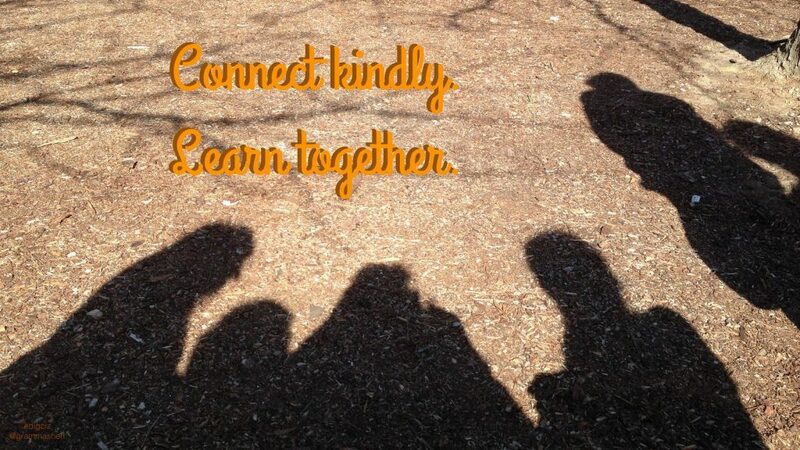 So, how are you building your PLN: personal learning neighborhood ?